The National Religious Broadcasters has terminated the membership of embattled missions agency Gospel for Asia, which was hit with a bombshell class action lawsuit alleging fraudulent use of donor money earlier this month, due to financial accountability issues. In response to the allegations of fraud against the agency Thursday morning, Johnnie Moore, president of public relations firm The KAIROS Company, speaking on behalf of GFA, said the agency is working hard to put an end to "false accusations" continually being made against it. "Gospel for Asia is 100% focused on continuing its work around the world while working very hard to put an end to the false accusations being continually made against the ministry. Gospel for Asia can document the legal and ethical use of funds donated and clearly answer every question," he noted in an email to CP. 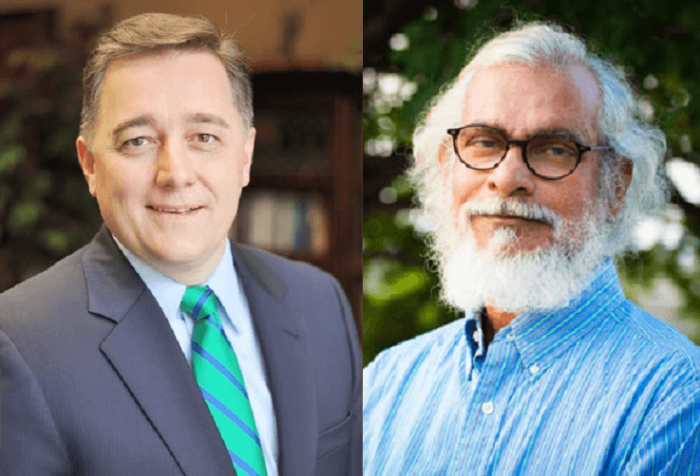 "Thankfully, many of Gospel for Asia's friends and supporters have chosen to stand with the organization and provide greater and great degrees of prayer and support as the ministry works to put this all to rest, for good." A copy of a letter acquired by The Christian Post Wednesday signed by NRB President and CEO Jerry A. Johnson, and addressed to K.P. Yohannan, founder and international director of GFA, dated December 31, 2015, highlights that despite the strong relationship shared by the two organizations, NRB was forced to part ways with GFA. "This is a follow-up to my letter dated October 12, 2015 and our subsequent email correspondence regarding the NRB membership requirement for GFA to be compliant with our Constitution and Bylaws, Part II – Financial Integrity, Accountability, and Transparency – Not-for-Profit Members," began the letter from the NRB, which is a non-partisan international association of committed broadcasters and Christian communicators. "This requirement points out that 'operating with financial integrity is part of a faithful witness for Christ before a watching world. As such, National Religious Broadcasters (NRB) requires its members to conduct their financial operations in a manner that ensures integrity, accountability, and transparency," it continued. "While you have stated (as recently as your email of December 30) that you are diligently working to obtain the necessary information and to comply with the standards, you have not been able to do so at this time. Therefore, it is with a heavy heart that I must advise you that NRB must terminate your membership at this time," wrote Johnson. The NRB president further advised Yohannan that once he can demonstrate that he can meet the organization's financial accountability standards, GFA could reapply for membership. "You may reapply for membership when you are able to demonstrate that you meet our financial accountability standards." "We are grateful for your past support and participation in NRB, and we are hopeful Gospel for Asia can come in compliance in short order to allow you again to have active participation in NRB," Johnson ended. The NRB membership termination came approximately three months after the Evangelical Council for Financial Accountability cut ties with GFA last October for violating five of the ECFA's seven core standards. Moore said the NRB membership termination was a direct result of GFA's loss of accreditation from the ECFA. He asserts that GFA and the NRB still maintain a good relationship. "Gospel for Asia has enjoyed – and continues to enjoy – a wonderful relationship with the NRB and a personal relationship with its leadership. Unfortunately, the NRB's membership requirements are tethered to ECFA accreditation. When Gospel for Asia was no longer accredited by ECFA it automatically was no longer qualified for membership with the NRB. It was a topic of much discussion among the organization's leadership where some NRB leaders thought it indicated a need to evaluate its membership requirements," said Moore. When asked if GFA planned on reapplying for NRB membership, Moore said, "perhaps." Earlier this month Dallas-based Stanley Law Group filed a class action lawsuit against GFA alleging that the missions agency and several of its affiliates fraudulently solicited hundreds of millions of dollars in charitable donations, and misdirected the money into Yohannan's personal empire. Listed as defendants along with Yohannan are his son, Daniel Punnose, a member of the Board of Directors of GFA; his wife, Gisela, also a Board member; David Carroll, who serves GFA in multiple capacities, including Chief Financial Officer; and Pat Emerick. Emerick, according to the suit, is a United States citizen who resides in Ontario, Canada. He serves as the director of the Canadian affiliate of GFA. The suit also covers: "All persons in the United States who donated money to GFA within the applicable statutes of limitations." Between 2007 and 2013, GFA has solicited over $450,000,000 in donations from the U.S. alone, where the majority of GFA's donors reside. Donors include people who made a one-time or a recurring sponsorship. Moore said, GFA, one of the largest missions agency currently operating in the United States, "is in the final stages of interviewing multiple [law] firms, and will have acquired its specialized counsel within a week." Editor's Note: Johnnie Moore is an editorial advisor of The Christian Post but only represents GFA in CP's coverage of the organization's financial accountability issues.